Women’s fitness is important. While it is important to be active, there are certain activities women can do to enhance their health and well-being. 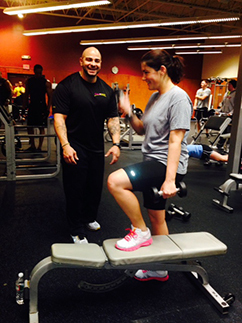 This is why there are personal training programs in Canton, MA are dedicated to women and customized based on current fitness levels, personal limitations, and specific goals. Women need to eat right, build strength and increase cardio health for healthy bones and to remain free of ailments that are common to women alone. This is why finding a good fitness center that addresses your unique fitness needs should be a priority. Look for gyms that offers machines with adjustable resistance, treadmills, free weights and varying options for exercise. Additionally, exercising with a certified personal trainer can help you develop and perform safe, effective, and unbiased women’s personal training routines. Trainers will consistently challenge and encourage you to adhere to these workout routines throughout the program and to challenge yourself each day. Women’s fitness is not just about losing weight, getting toned, and staying in shape. It is also about empowering women. Personal training that allows you to work different muscle groups and strengthen your body will help you stay healthy and look great as you age.